I am slightly obsessed with scones at the moment. It‘s perhaps not the first baked good that would spring to mind when trying to be creative, others may pick the en vogue cupcake, or a sandwich cake to showcase their artistic flair. But scones are a great starter for those who are just starting to bake, need little ingredients and can be adapted fairly easily. There is a little technique in rubbing the flour, and the secret is to feed it through your fingers gently to incorporate all the butter into the flour. Be gentle with the dough and you will have puffy, fluffy and downright lovely scones in no time. This adaptation incorporates my new foodie obsessions: flavoured sugars and white peaches. 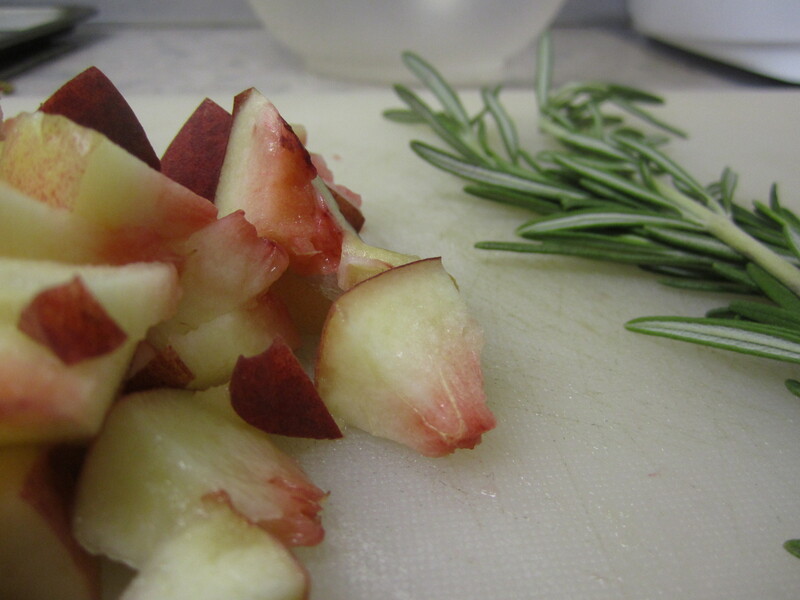 White peaches have a subtler taste than the regular orange variety and are a perfect marriage with fragrant rosemary. Sugars can be easily adapted to other herbs or zest of citrus fruits, so are an easy way to incorporate a new flavour to your baking. 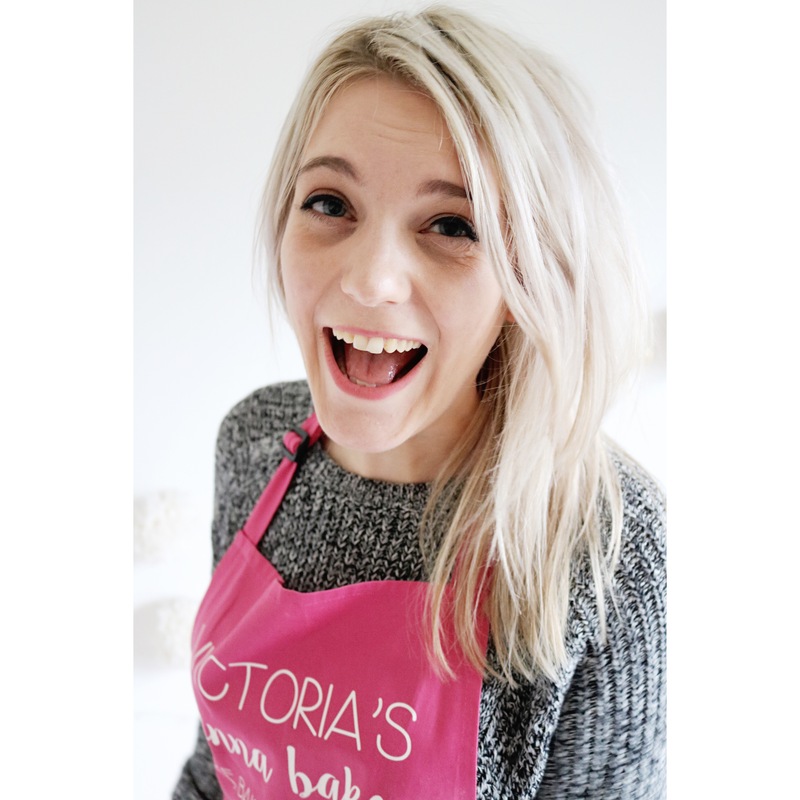 Preheat the oven to 200oc/180oc Fan/ Gas Mark 4. Grease a baking sheet with some butter and set aside. In a bowl, rub together the butter and the flour with your fingertips, until it resembles fine breadcrumbs. Stir in the caster sugar and add the peach. Stir in some of the milk and work the mix into a dough. You won’t need all the milk. Turn out onto a floured work surface. With a floured rolling pin, roll out to an inch thickness. Cut into six squares and carefully lift onto the baking tray. Brush the tops with the remaining milk. To make the rosemary sugar, place the chopped rosemary and granulated sugar together on a chopping board, and smooth with the back of a spoon, releasing the oils. Top the scones with the fragrant sugar and bake in the oven for 10-12 minutes until risen and golden. Leave to cool on a wire rack and serve with jam or butter. Ooft they look bloody good Peasey. My Nana always did scones but usually just the normal sweet ones. might give these a go.